The movie Mad Money stars Katie Holmes, Diane Keaton, and Queen Latifah. I could watch his fun movie over and over again. Have you seen the movie Mad Money? You know who your true friends are when money is involved. I don’t agree that we should ever mix money and friends. If we loan money to our close friends they may feel that they can take advantage of the situation and not repay us. This could cause problems in the friendship or break up our friendship. However, when times get tough, we can always count on our true friends to stand by our side, no matter how hard it gets. Money only buys temporary happiness. If we are unhappy with something in our life, having money will not fix our problems in the long term. Using money as a temporary solution to a long term problem is like alcohol abuse…it is only a temporary solution. 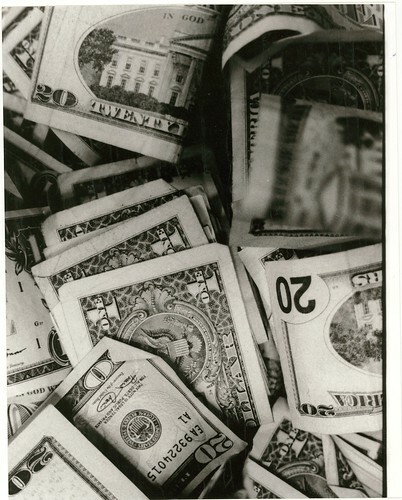 When the money is gone our problems will still be there, and when we sober up our problems, will also, still be there. It is important to save. Saving money is the basic foundation of any good plan for financial longevity. Saving money can help us plan for retirement, as well as establish an emergency fund in case we hit a financial rough patch. If things are currently going great, remember that we may not always be on top. Not all finances have to be joint. It is ok to keep some money separate in your marriage. Secrets are not good, unless they are for the well being of our spouse. Always have a backup plan. Things don’t always go as we plan. No matter how hard we try, we can’t control everything. Expect the unexpected in finance. This is why having an emergency fund between 3 and 6 months of our total net income is important…in case things don’t go as planned. Don’t splurge on impulse purchases. Impulse purchases are always a waste of money. Impulse purchases such as a car, or expensive jewellery, can end up not being worth it in the end; and our asset (if it is not a smart investment) could lose value over time. It is important to make smart financial decisions and purchase assets that will appreciate in value. Money can be Fun…Finance isn’t always serious. Have fun with your money…after all, you did work hard for it. There is no reward without any risk. Nothing in life is guaranteed. We don’t have to jump into the deep end of the financial pool if we can’t swim, but we can (slowly) get into a pool of cold water. Don’t rush into anything, but don’t be afraid to try something new with your money. Buy a high risk Mutual Fund, or invest in a new business adventure. We should never put all of our money into the same investment, but we can put a little bit of our money into a different (high risk) type of investment. The Number One Money Lesson that I learned from the movie Mad Money is that everyone hits a rough patch. It’s how we get out of it that counts. Great post! But I don’t like the sentence “Secrets are not good, unless they are for the well being of our spouse.” The well-being of our spouse can be misjudge. I think the well-being of the spouse can always be discussed with the spouse! Unless you have an example in head that I did not think about?